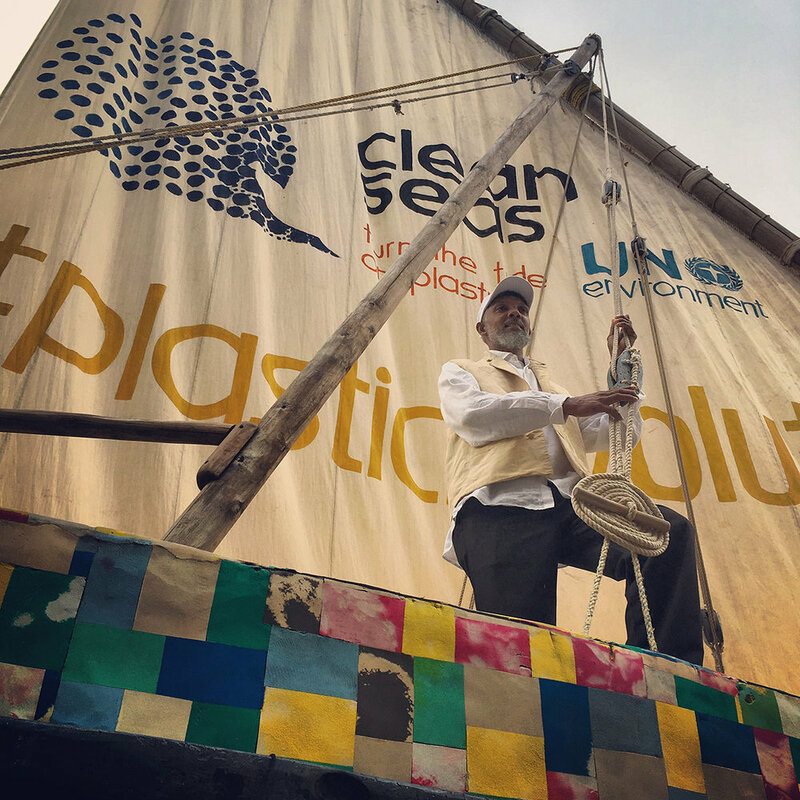 Flipflopi dropped its anchor and flew its sail high at the just concluded fourth session of the UN Environment Assembly (UNEA-4), inspiring the world to rethink its relationship with single-use plastics, and stirring creativity and enthusiasm around the possible solutions to the critical problem of marine plastic pollution. Ensuring sustainable business development at a time of rapid technological change. In the midst of this, brightly coloured Flipflopi drew in hundreds of dignitaries, government officials, private sector representatives, media correspondents and curious citizens, with the team answering questions about the groundbreaking Lamu to Zanzibar expedition, sparking awareness around the danger of plastic pollutants, motivating the necessity of a #PlasticRevolution, and stressing urgent action around single-use plastics and plastic waste management. During his visit to the dhow, President of Kenya, H.E. Uhuru Kenyatta asserted the spirit of Kenyan innovation, accepting Fliplopi’s recycled plastic wheel from captain Ali Skanda with the message to steer Africa and the world towards a #PlasticRevolution. The presence of Flipflopi was exceptionally relevant with the Global Partnership on Marine Litter/Clean Seas Tent at UNEA-4, which brought together international agencies, governments, NGOs, academia, the private sector, civil society and individuals to find solutions to the growing problem of marine litter and microplastics in the world’s oceans. With the successful expedition from Lamu to Zanzibar, Flipflopi stood tall as a beacon of local solutions to global problems; challenging current consumption and production habits and encouraging innovation to protect the marine ecosystem and the environment at large. For these reasons, Flipflopi was featured at the “Strengthening the Global Momentum to Tackle Plastic Pollution (Side Event)” alongside organisations like Seas4Life, T3, and Mr. Green Africa. Our hope is that governments, the private sector, civil society, and individual citizens will be inspired and challenged to lead and support innovative approaches to tackling plastic pollution, supporting the progress achieved through UNEA-4, the Ocean Plastics Charter, and the Sustainable Blue Economy Conference.